Display a cheerful welcome to any room or entrance. 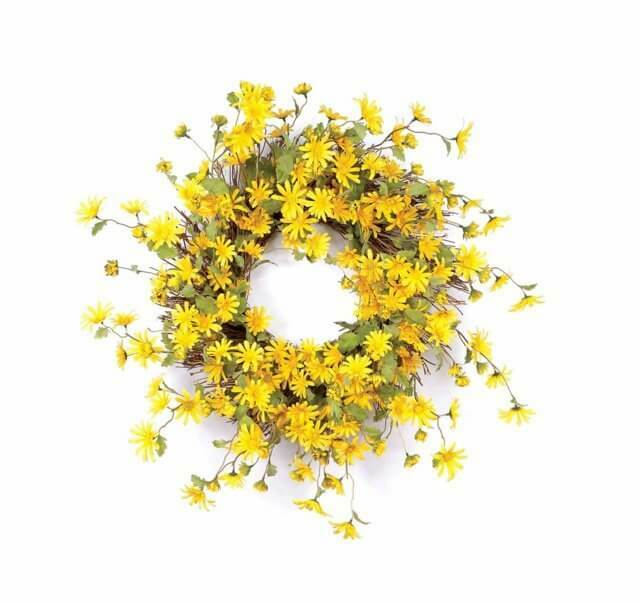 Crisp and colorful, this large scale wreath features bright yellow mini daisies on a twig base. All stems on wreath are wired and will require a little bit of simple shaping upon arrival. Suitable for inside or outside use when placed in a weather protected area.